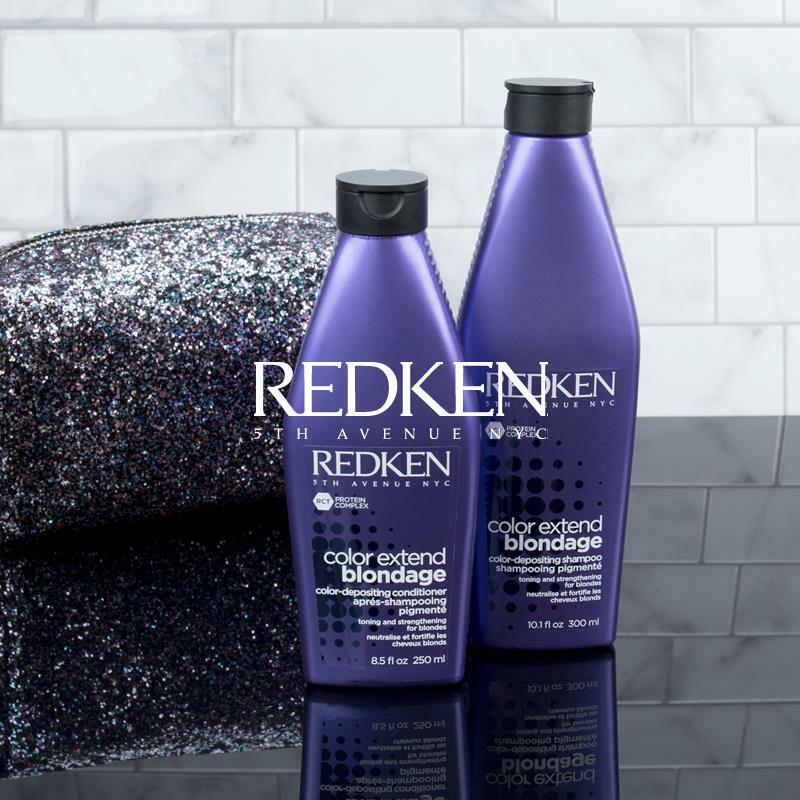 We are very excited by the arrival of REDKEN Colour Extend Blondage shampoo and conditioner. This duo is the perfect combination to tone and strengthen blonde and highlightened hair. It keeps away brassy tones, and maintains a cool, clean blonde.